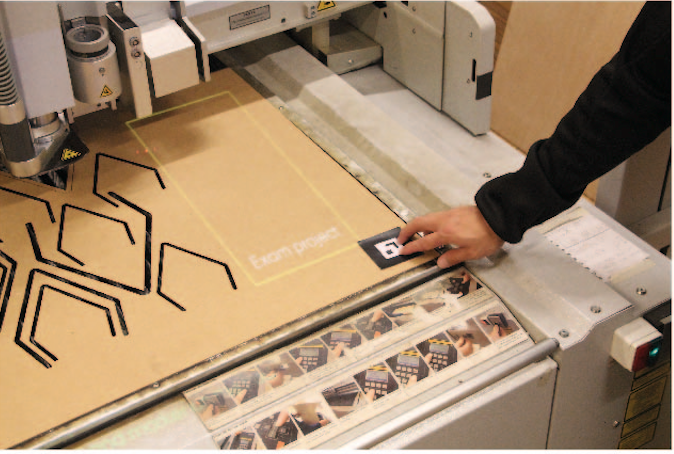 VAL: Visually Augmented Laser cutting – ixd! 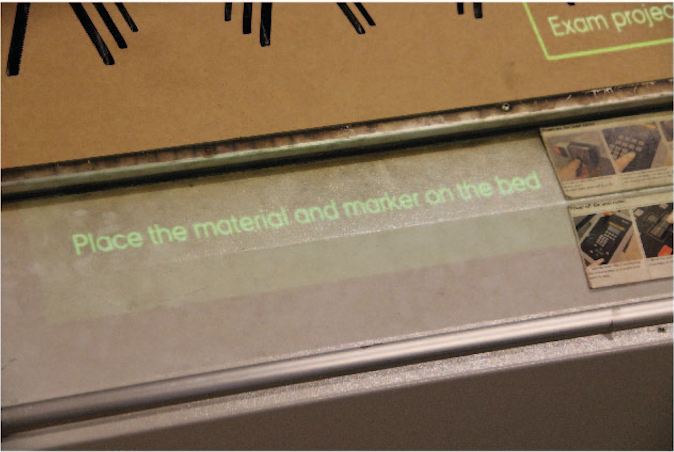 Laser cutting controls usually separate the operator from the work surface, which results in cutting errors and time wasted with difficult preparation before cutting. The shape to be cut is repositioned by the designer in direct contact with the material, enabling the designer to quickly place and cut on materials–even on scrap materials. 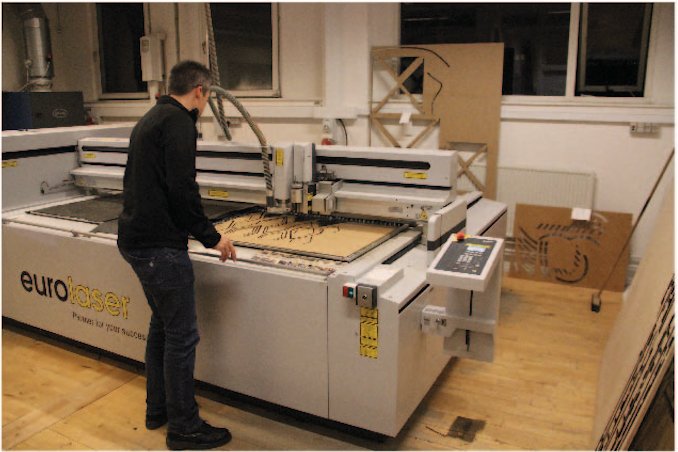 (VAL) Visually Augmented Laser cutting uses spatial augmented reality technology to guide the designer through the cutting process and enables shape placement and positioning to reduce wasted material, reduce errors and support new work practices in the design studio. 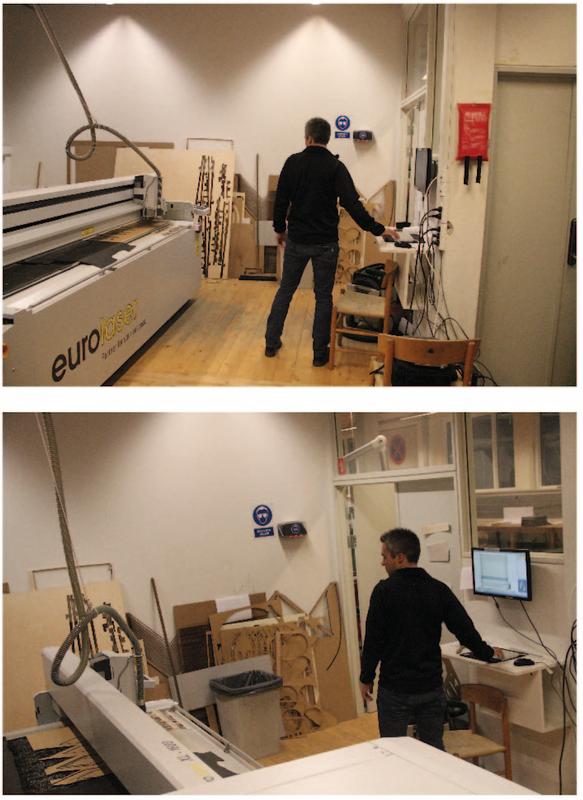 This work has been presented at the ISMAR2014 conference and represents explorative prototypes aimed at improving digital fabrication tools.